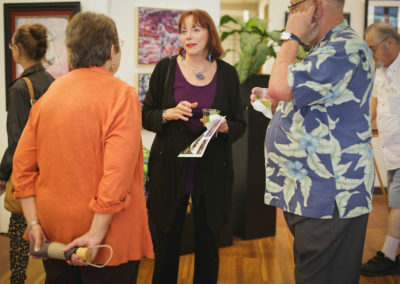 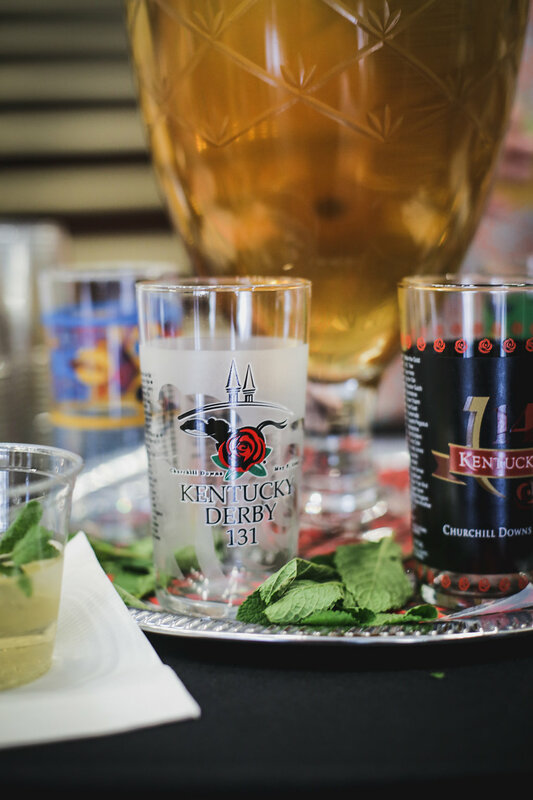 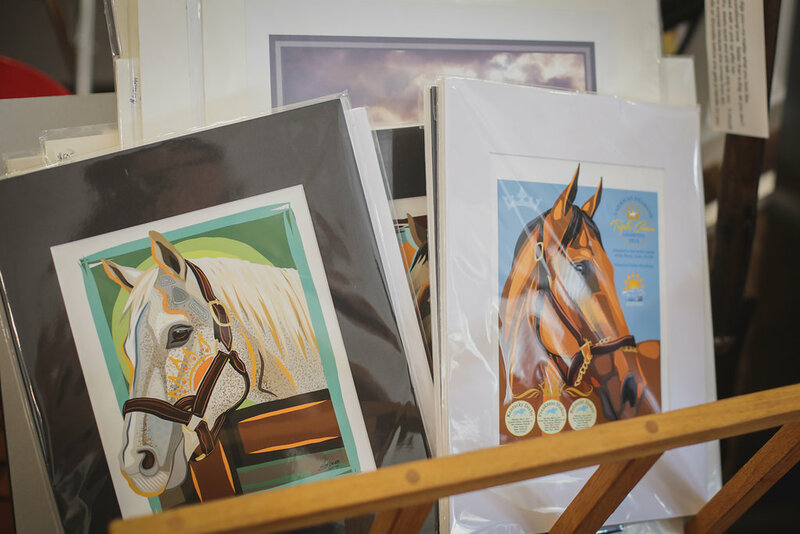 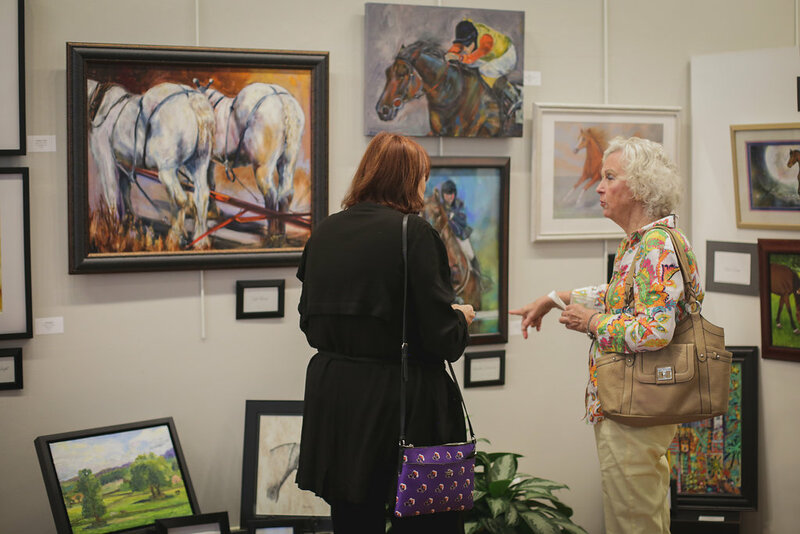 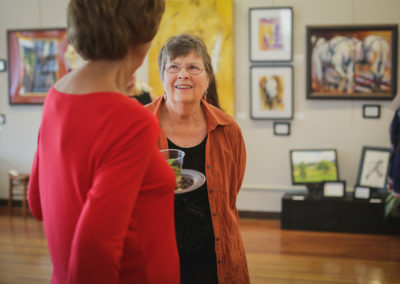 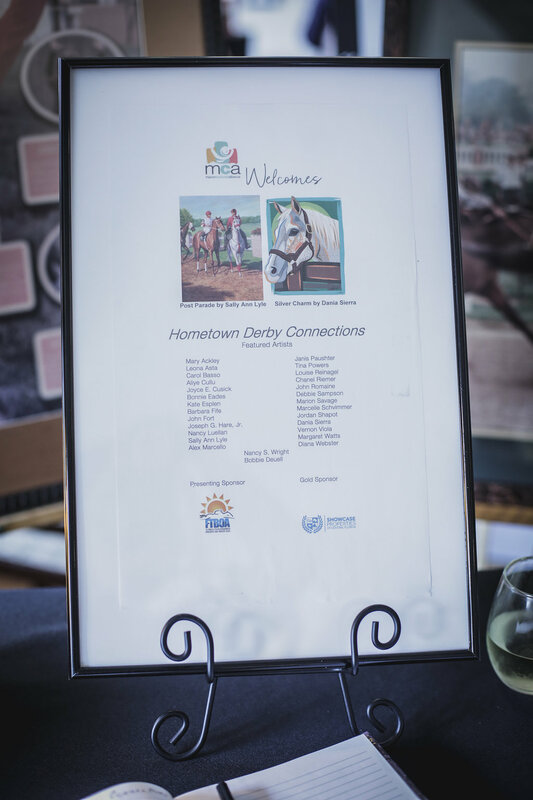 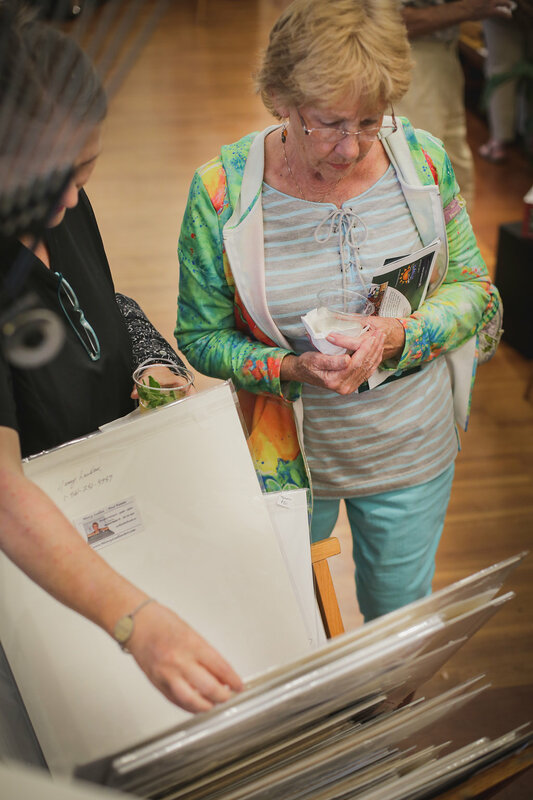 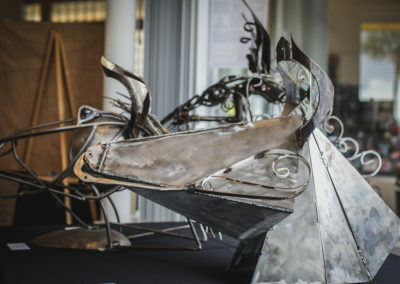 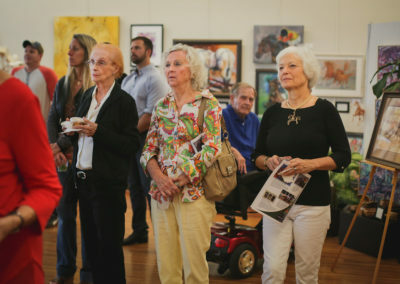 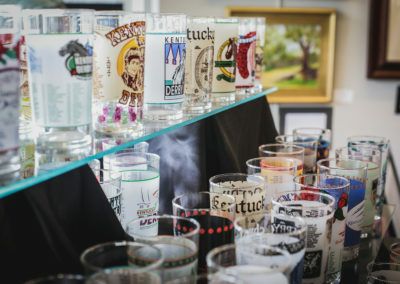 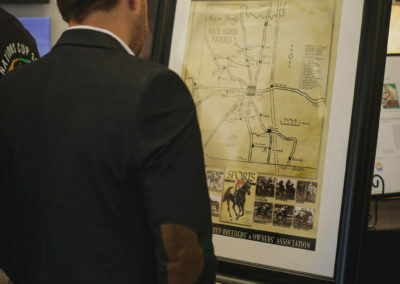 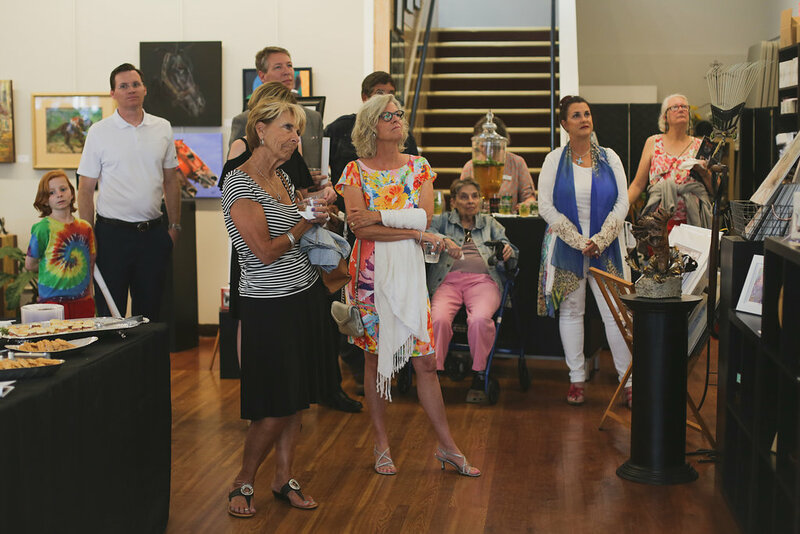 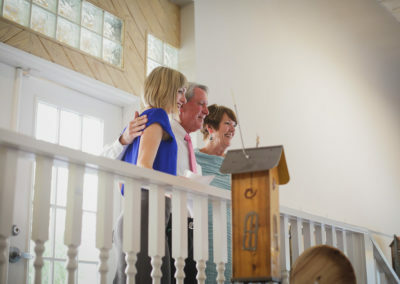 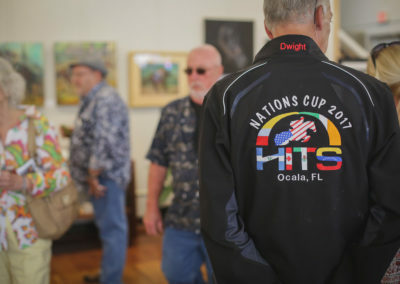 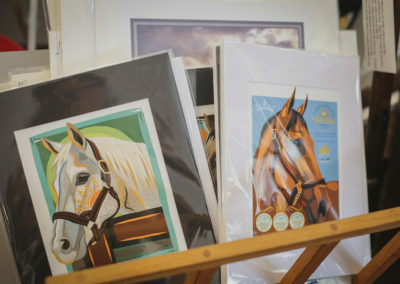 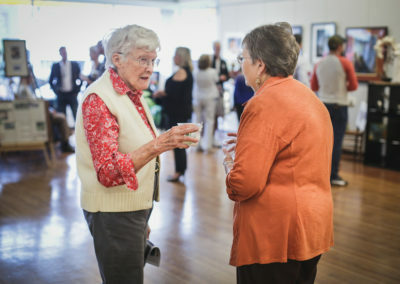 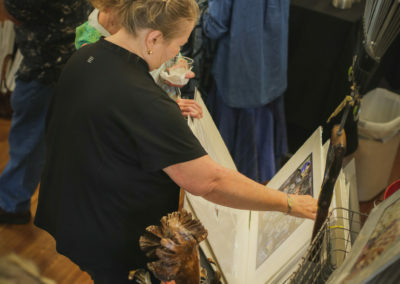 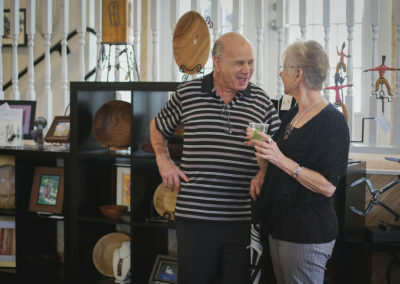 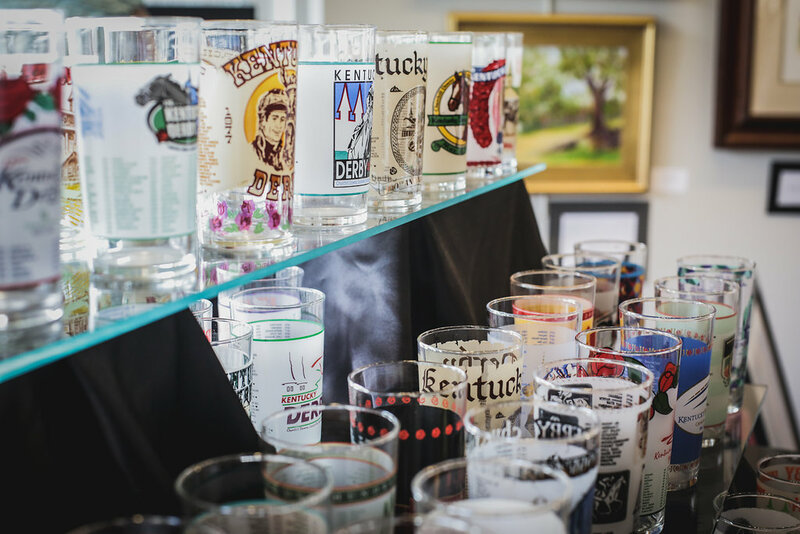 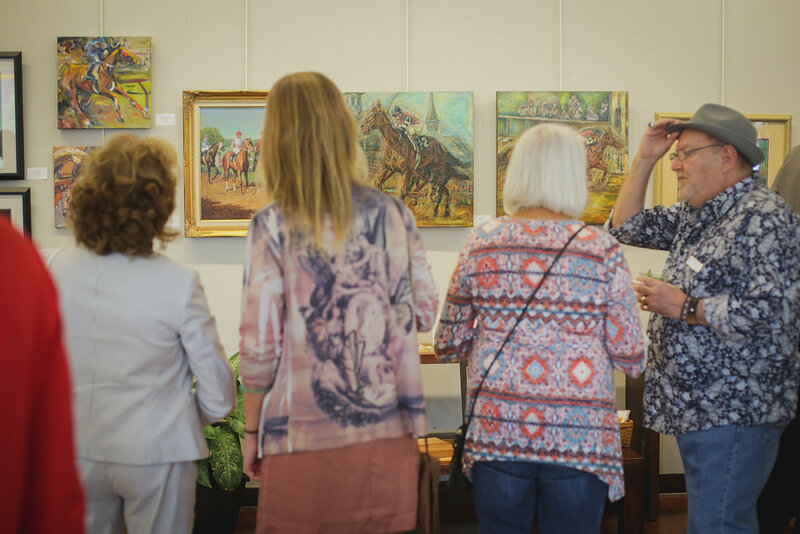 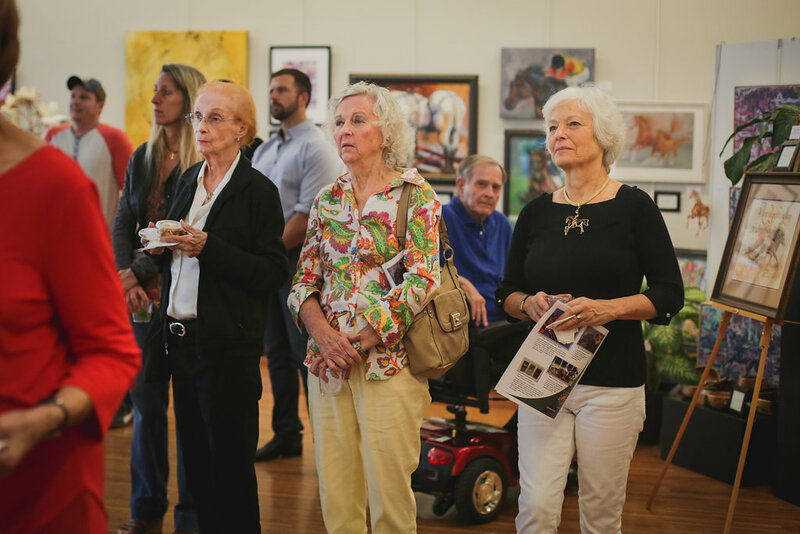 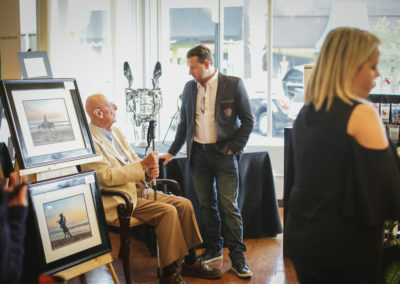 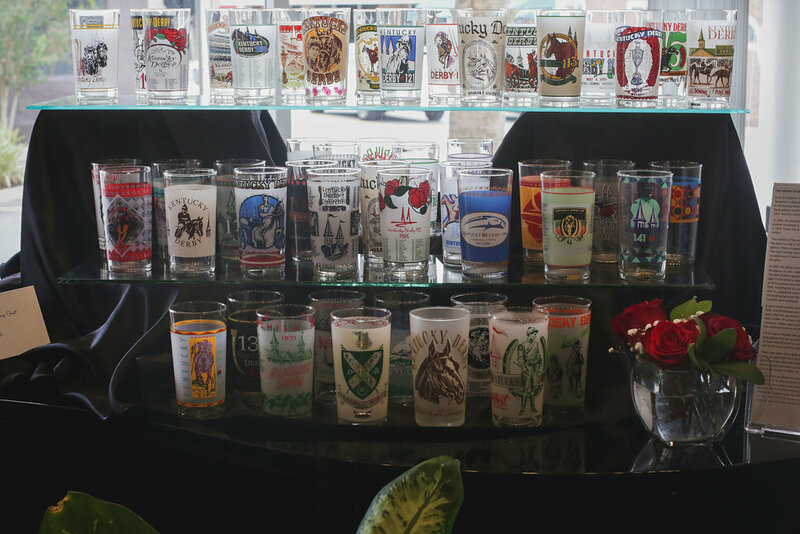 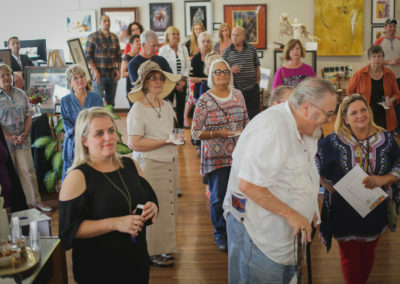 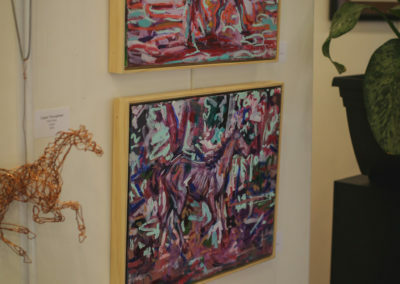 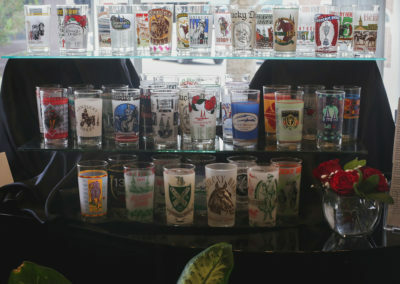 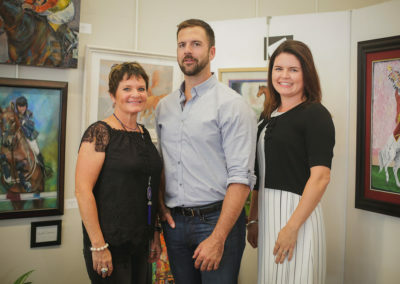 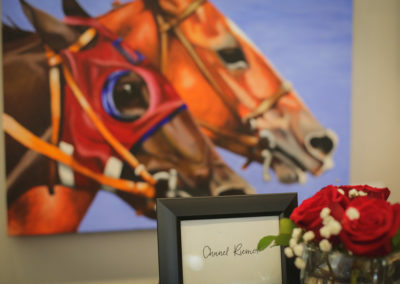 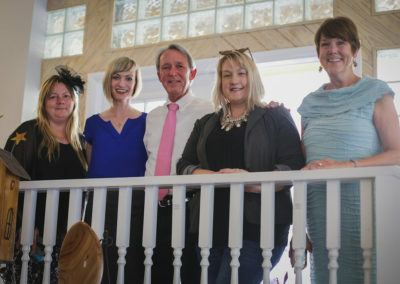 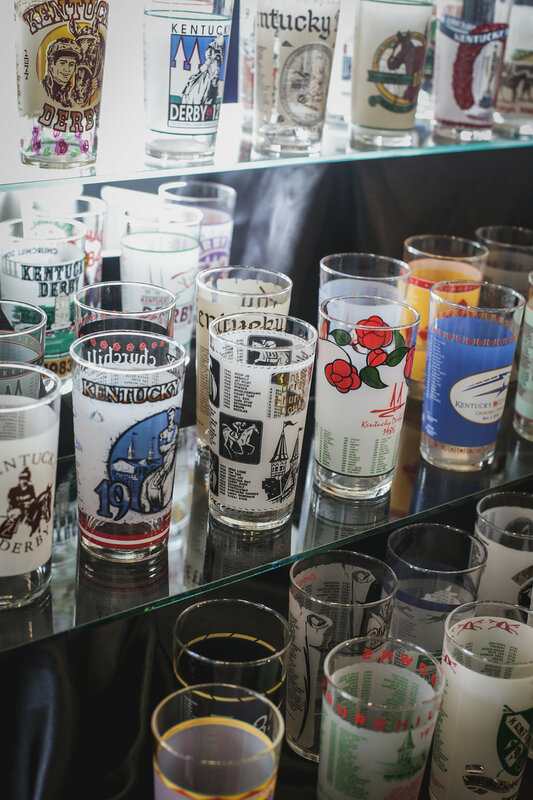 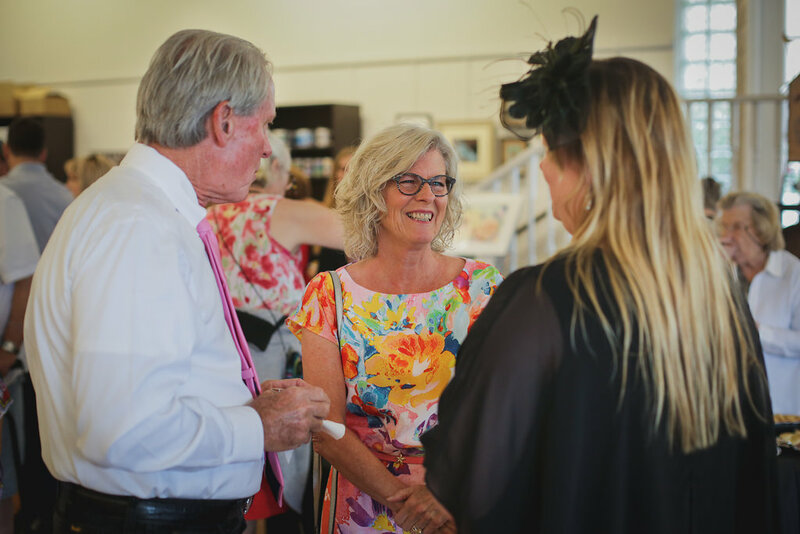 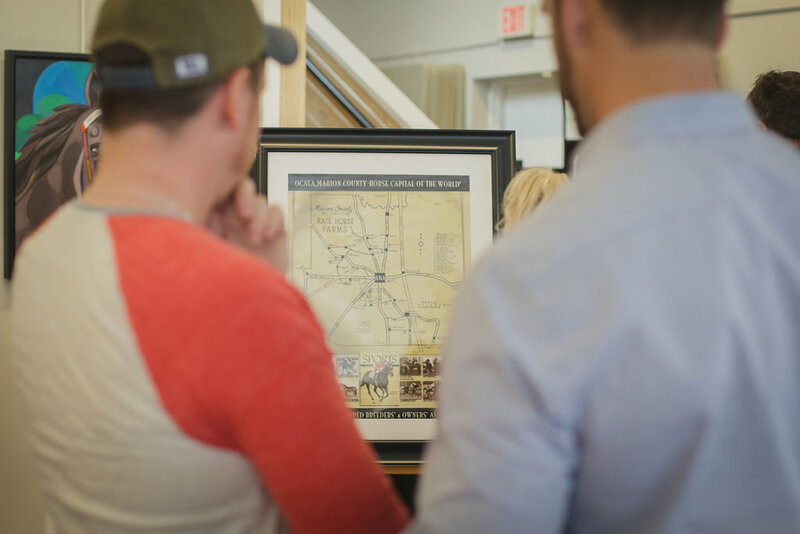 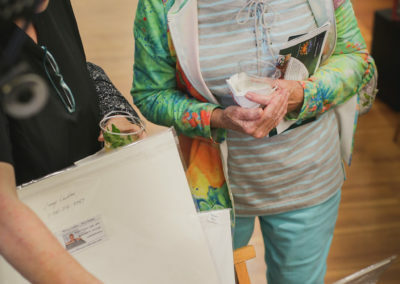 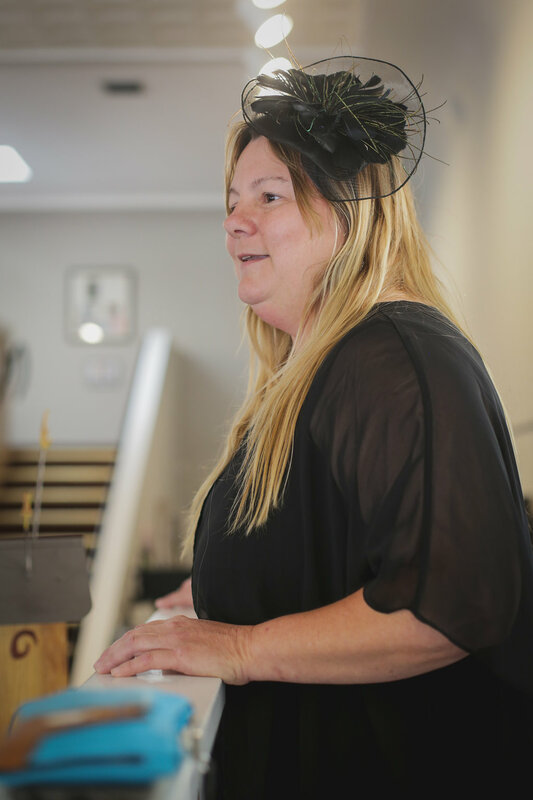 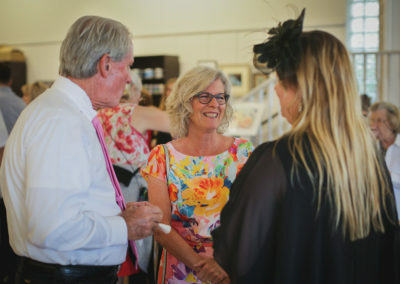 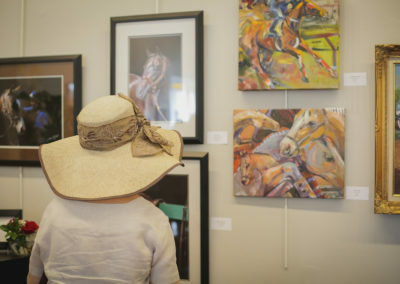 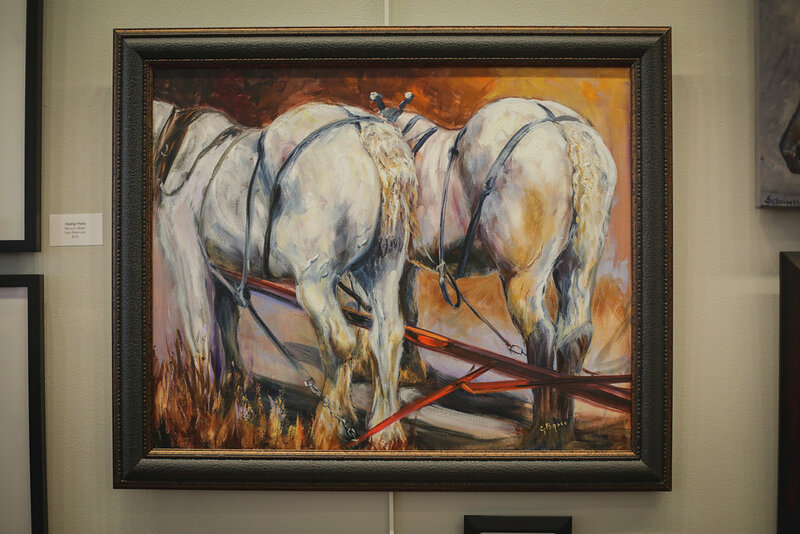 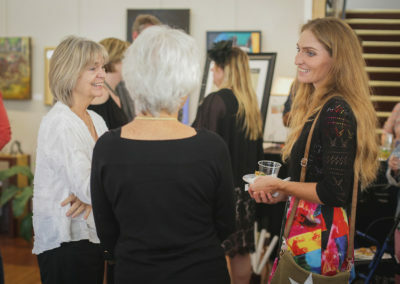 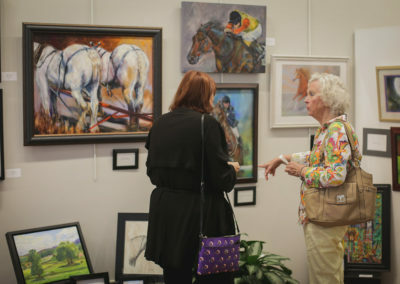 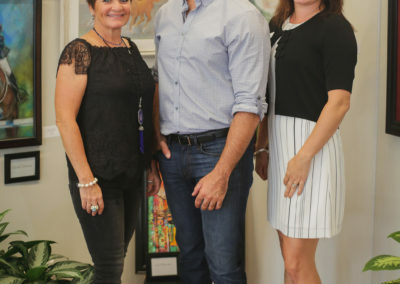 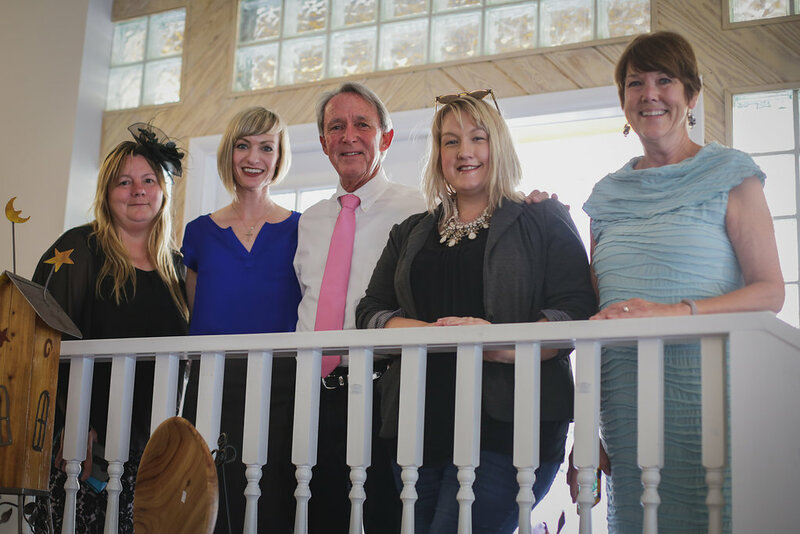 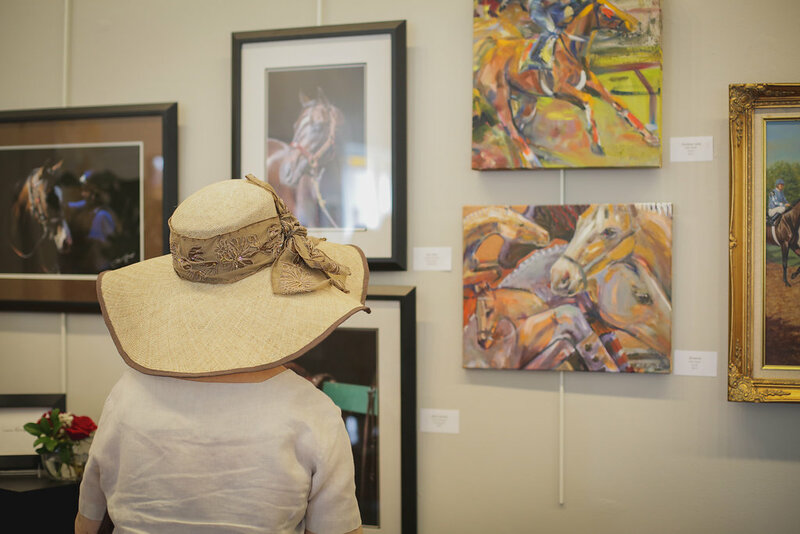 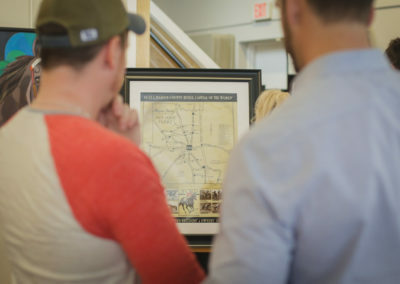 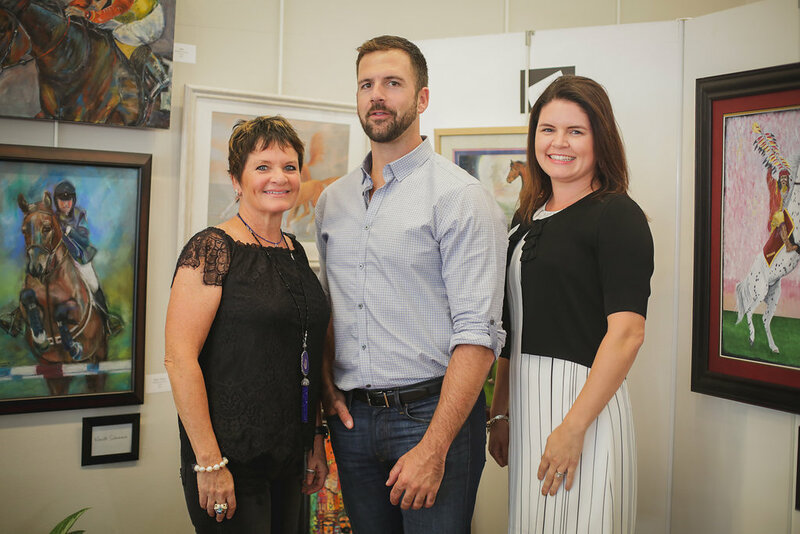 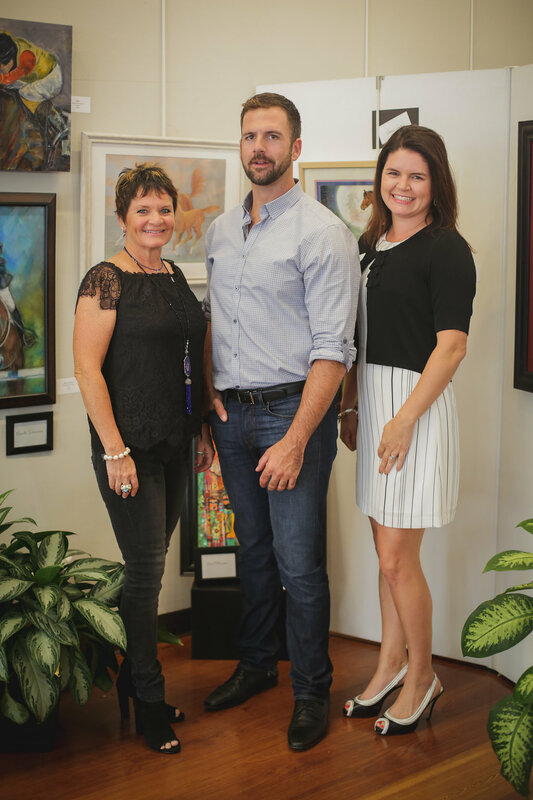 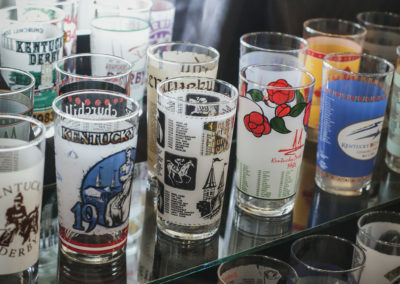 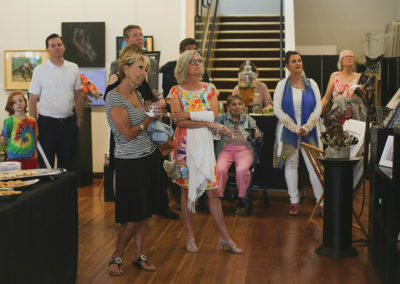 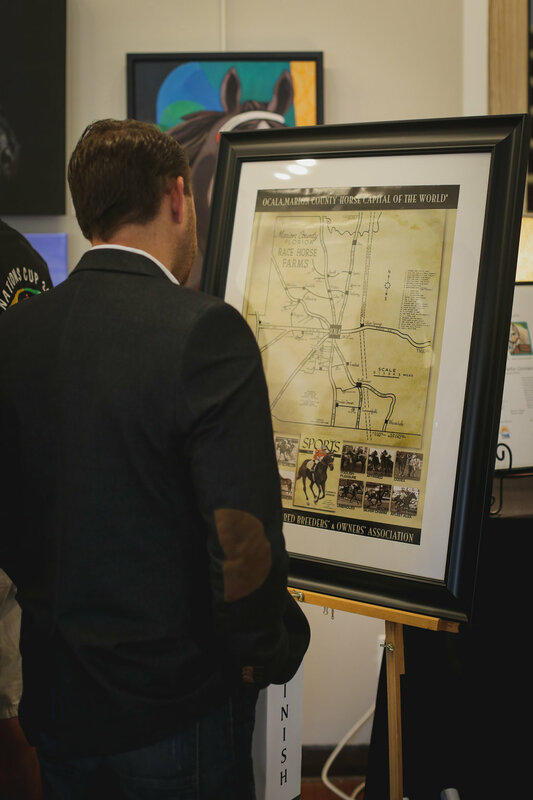 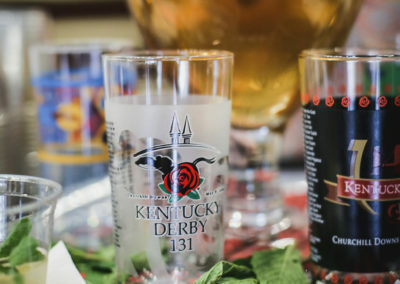 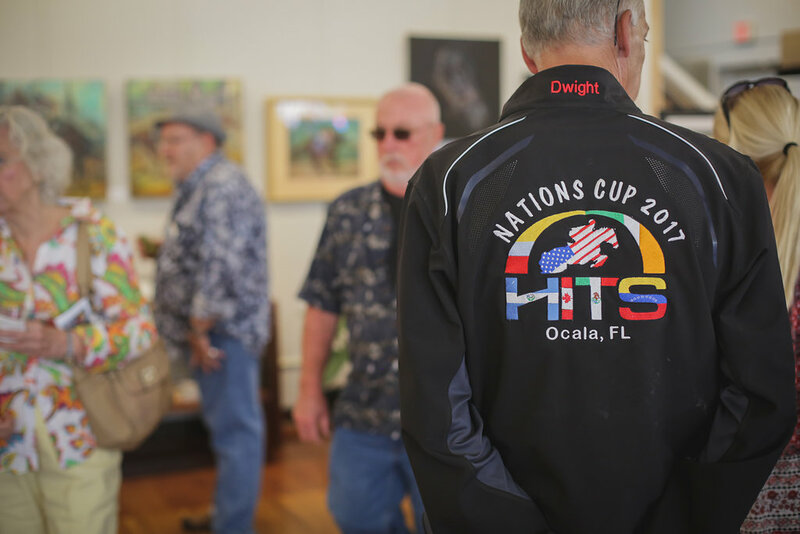 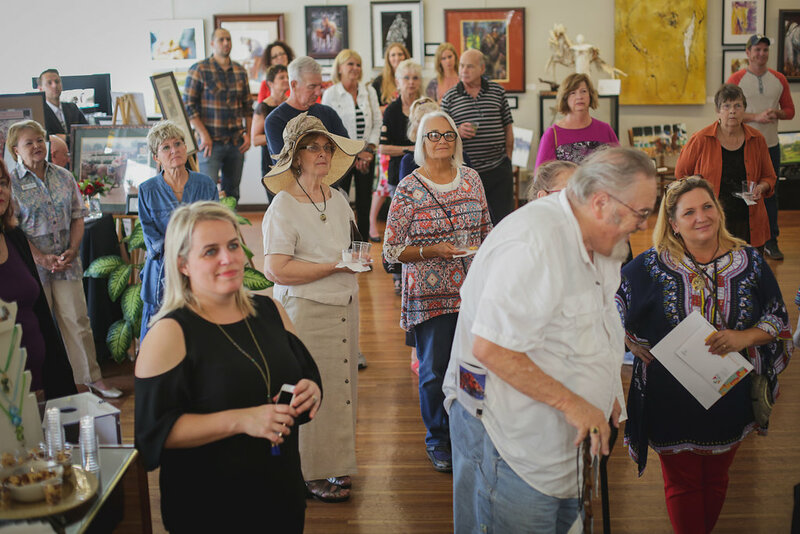 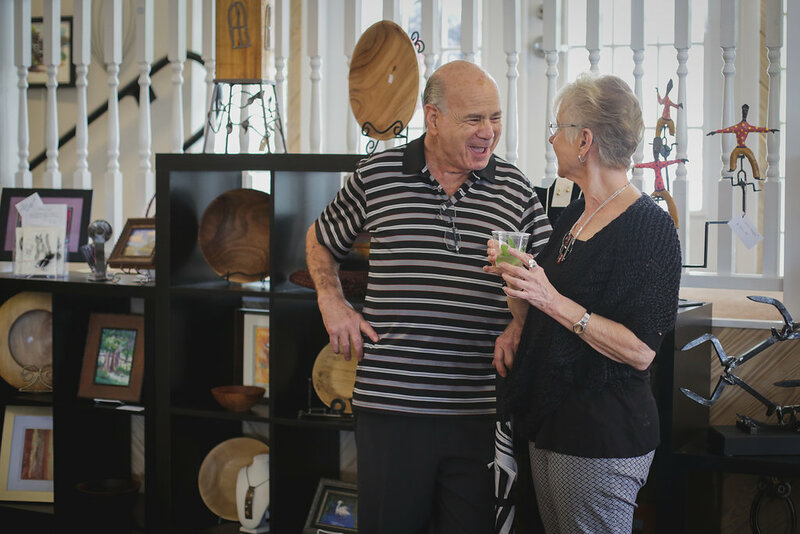 Kentucky Derby and racing art is the center of “Ocala’s Hometown Derby Connections” exhibition at Brick Center for the Arts and the Florida Thoroughbred Museum and Gallery. The exhibition runs May 5-27, 2017. 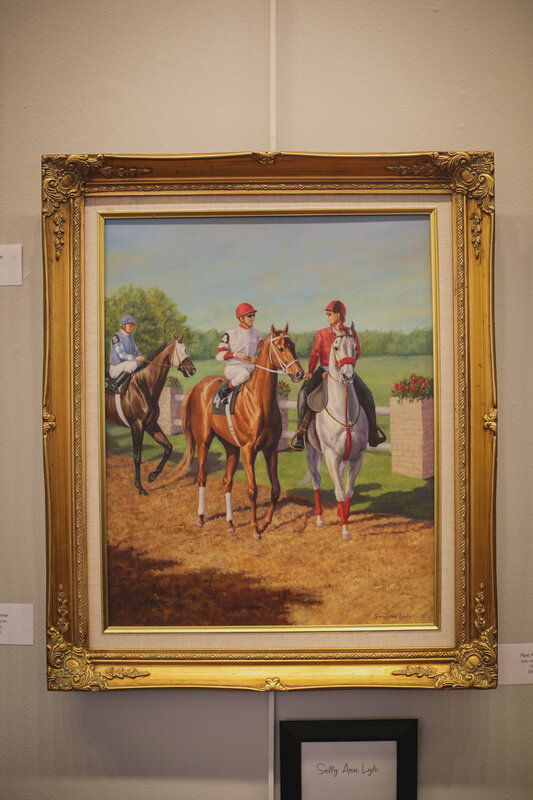 The exhibition will feature awe-inspiring horse heroes with connections to the world’s most legendary horse race, the Kentucky Derby, and will include paintings, photos, sculpture, and more. 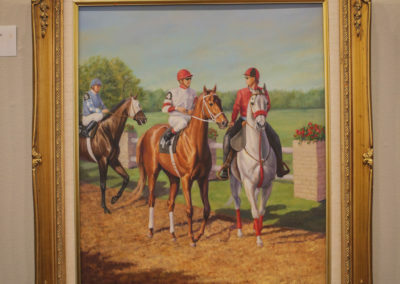 These famed Derby horse include Needles (the first in 1956), Ocala Stud’s Carry Back, Williston’s Foolish Pleasure, Triple Crown winner Affirmed, historic Tartan Farm’s Unbridled and Silver Charm now retired at Old Friends in Kentucky. 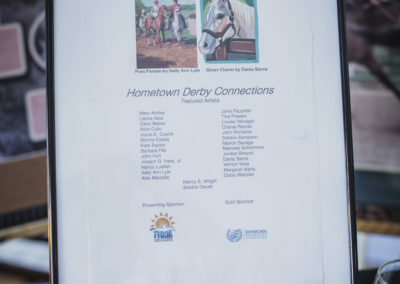 In addition, champions like Afleet Alex and Holy Bull who suffered defeats in the Derby but went on to become national champions. 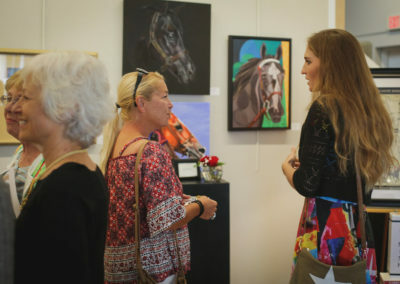 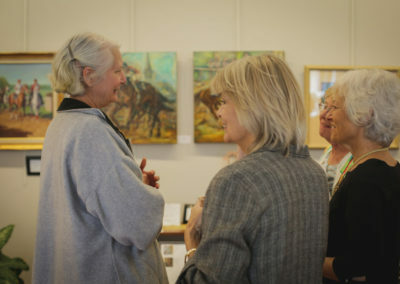 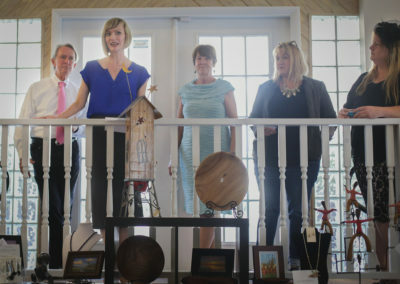 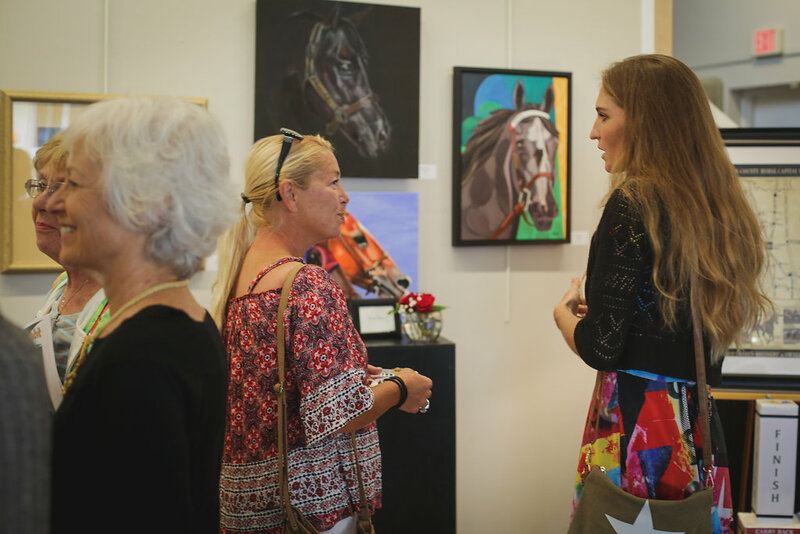 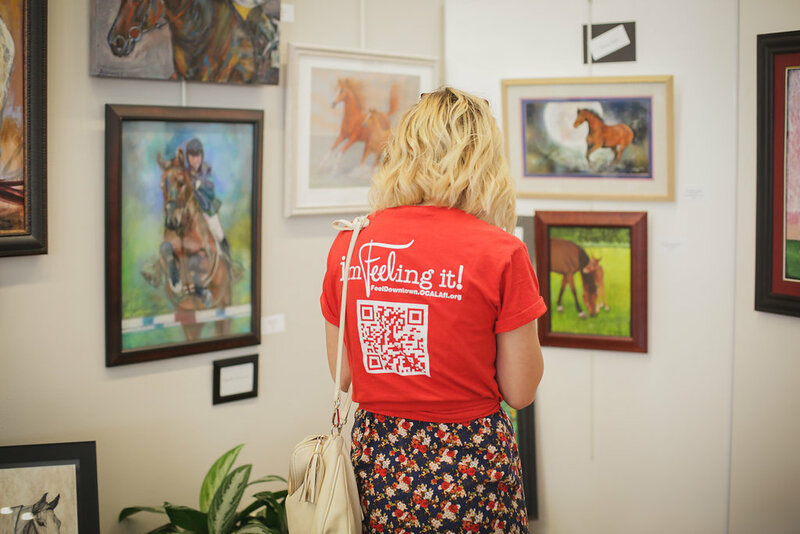 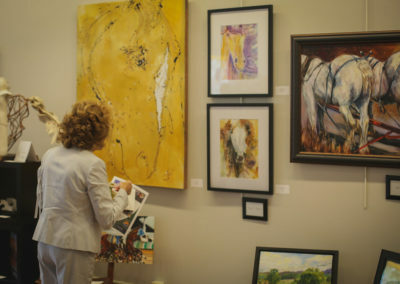 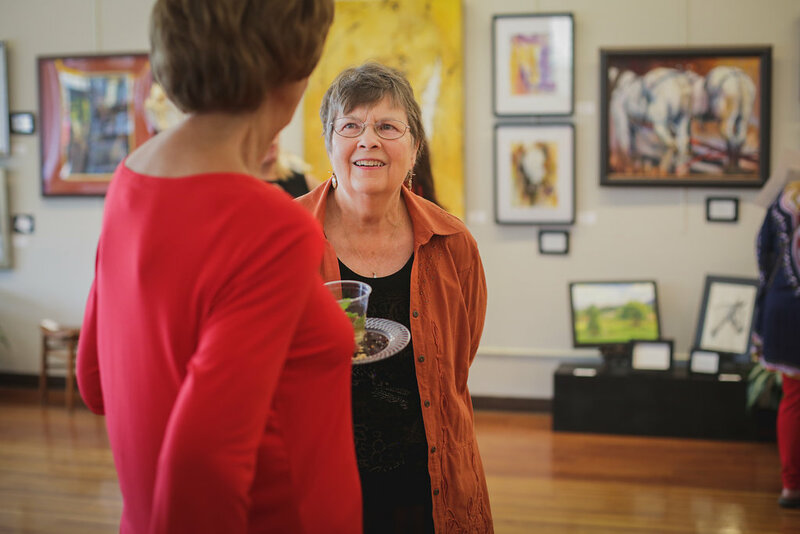 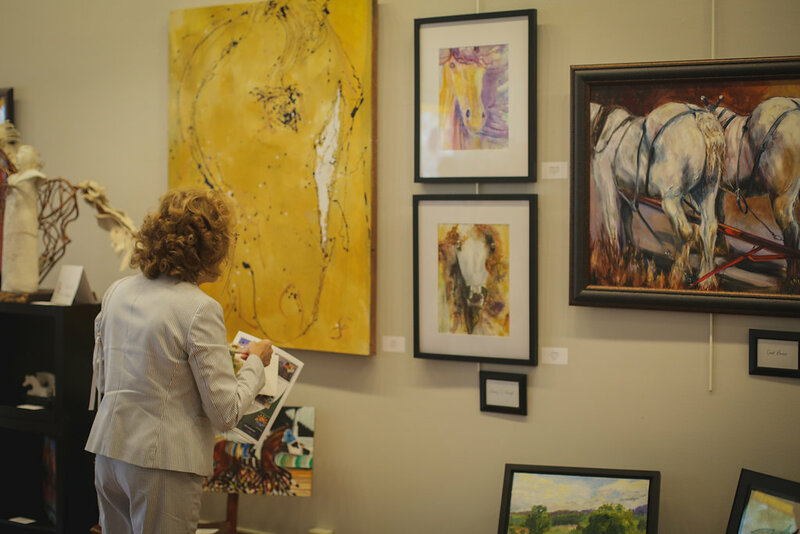 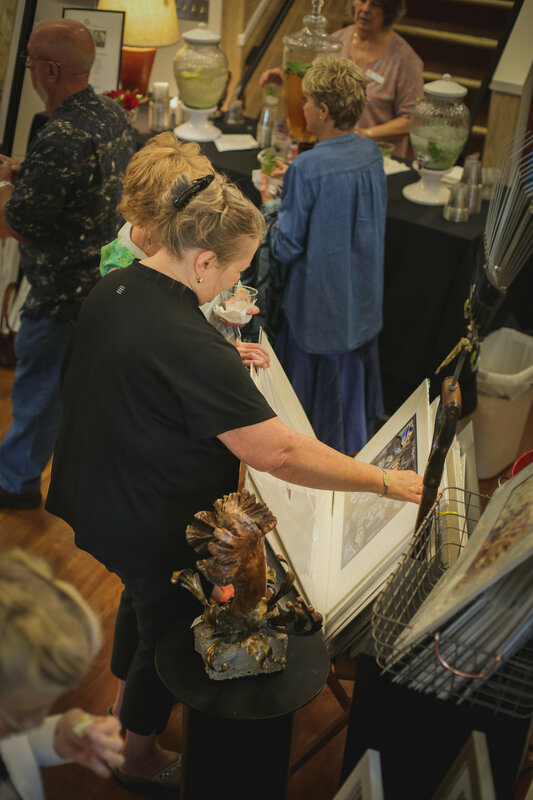 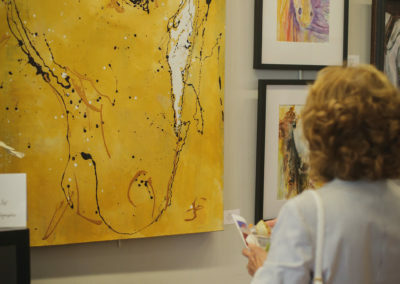 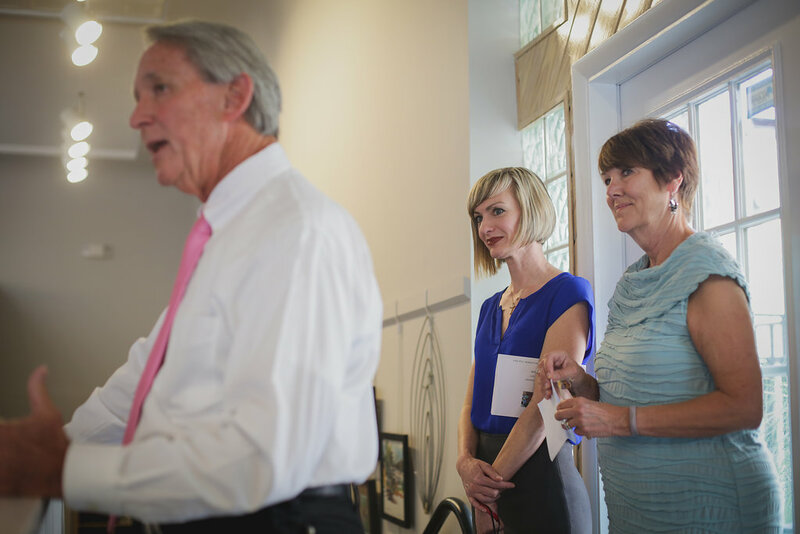 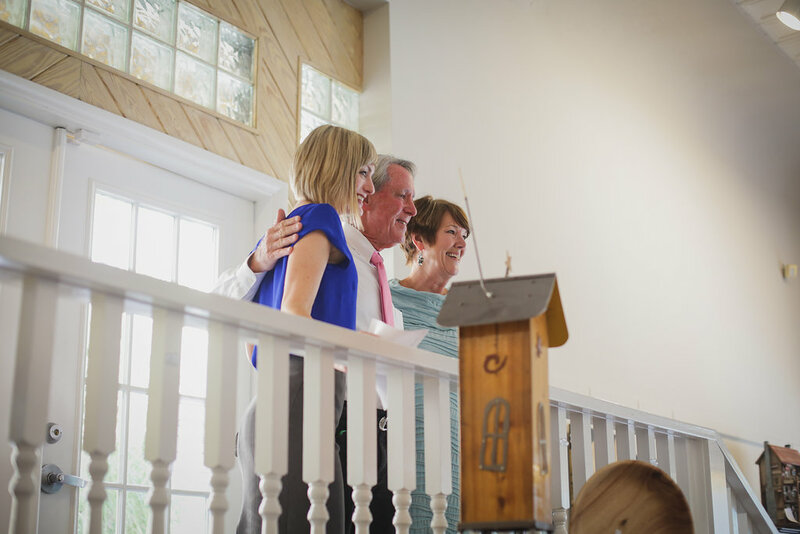 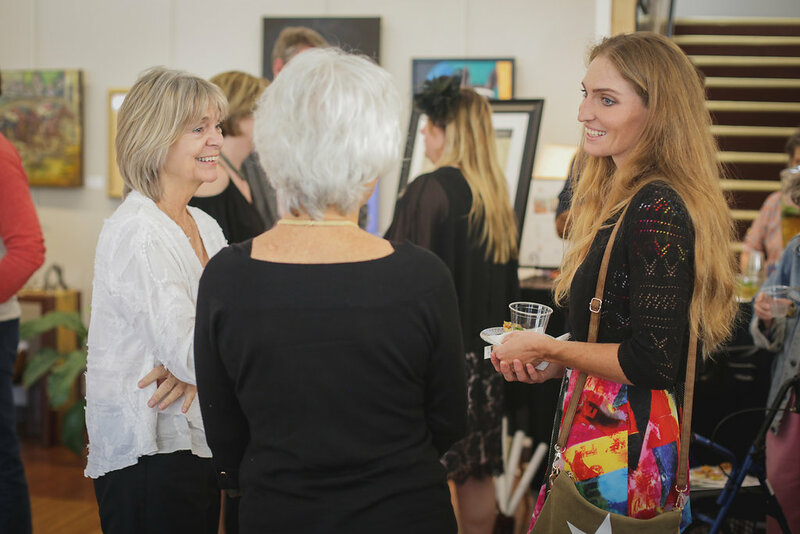 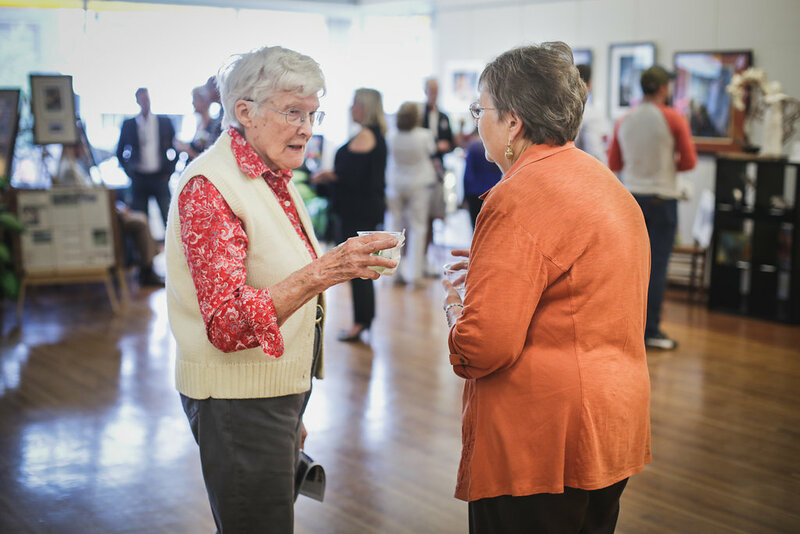 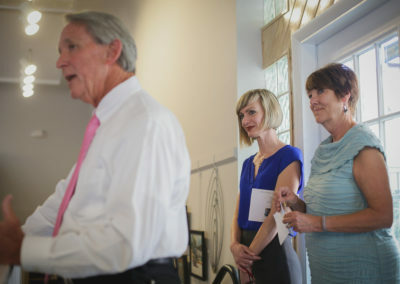 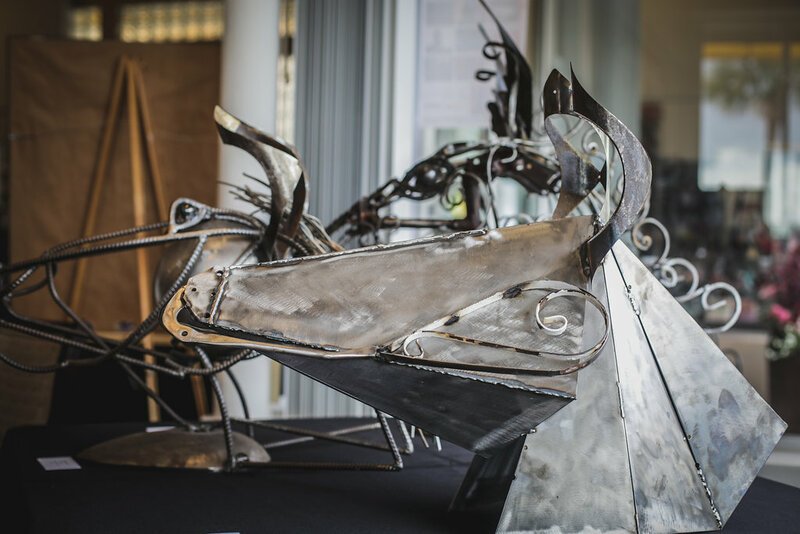 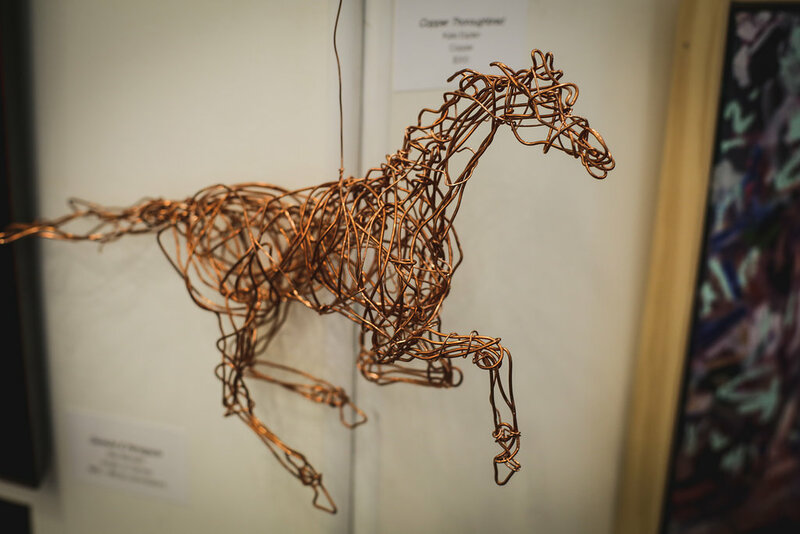 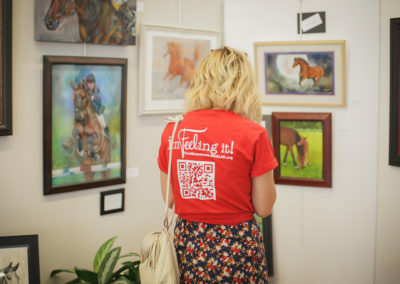 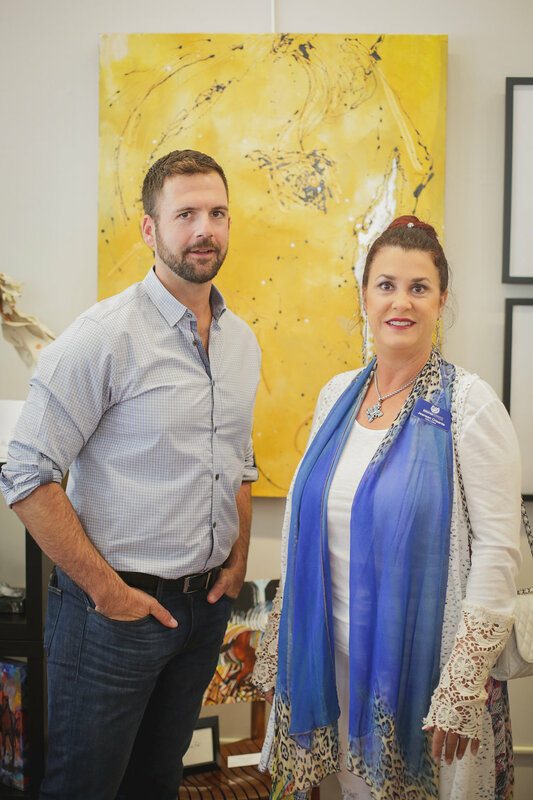 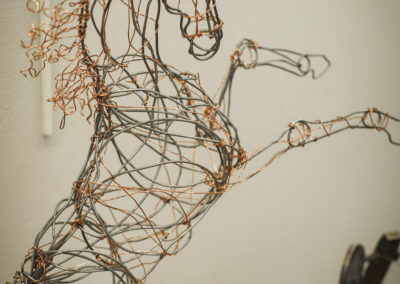 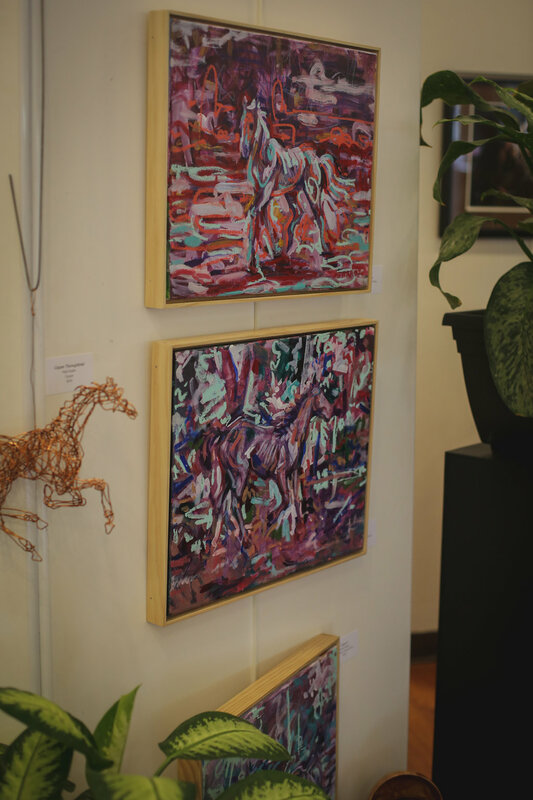 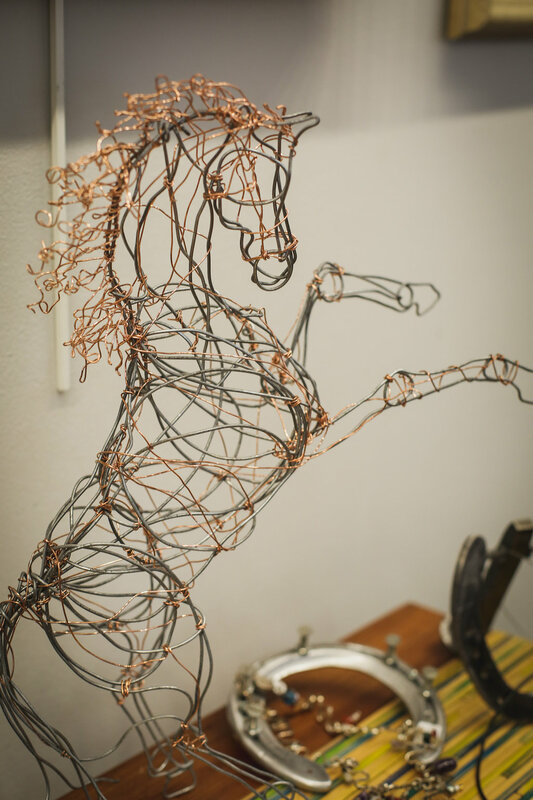 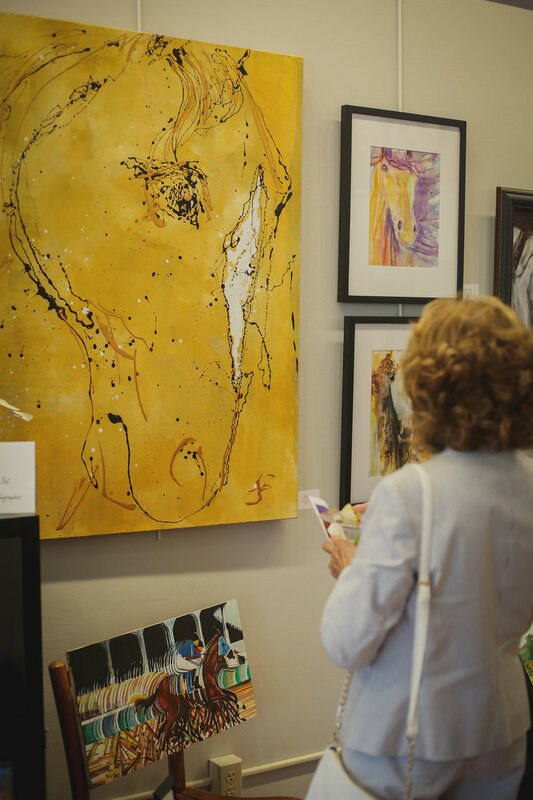 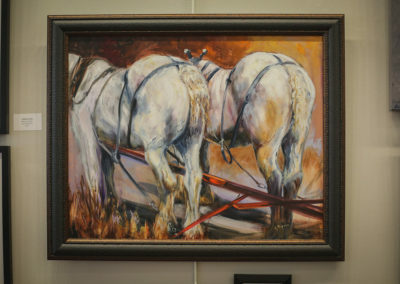 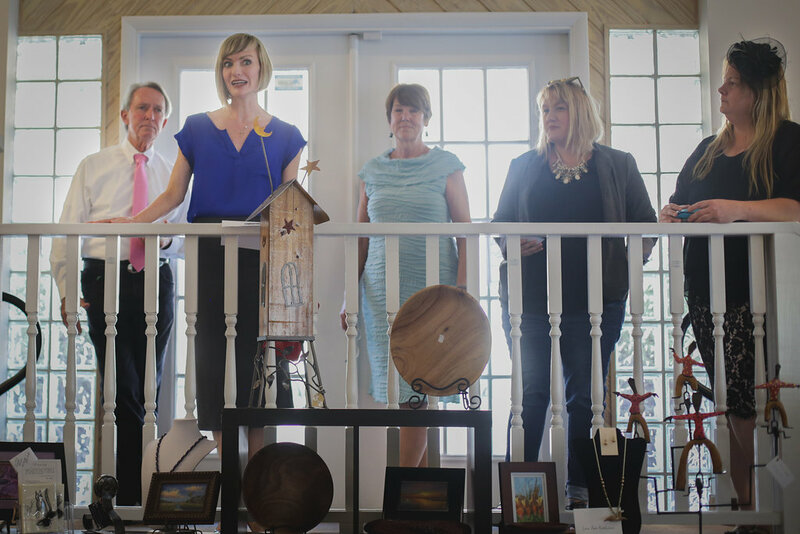 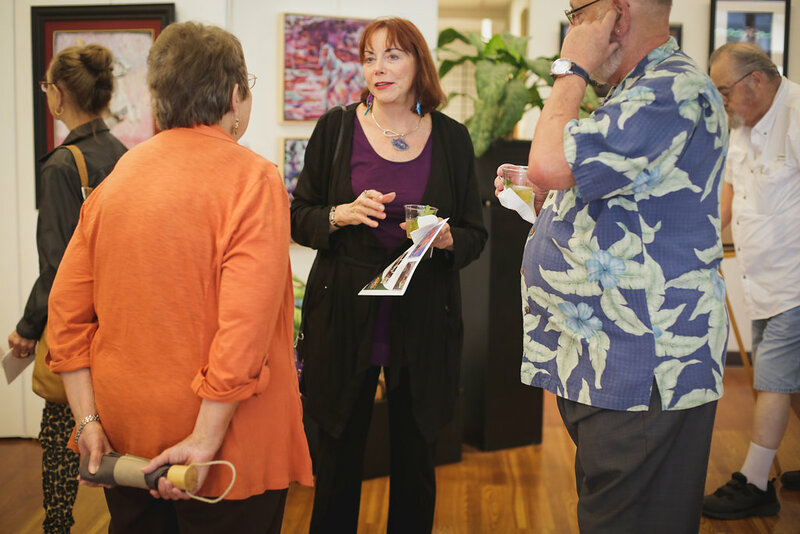 Thirty local artists will complement the exhibit with additional representations of equine art. 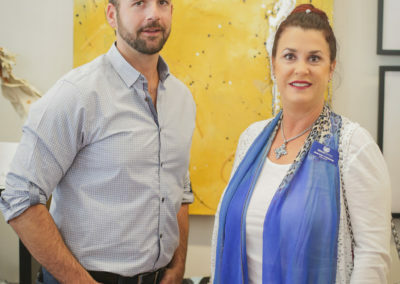 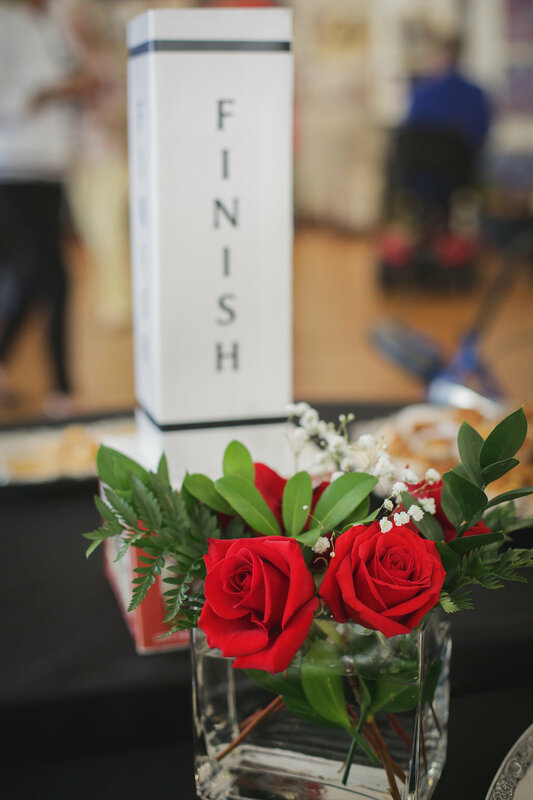 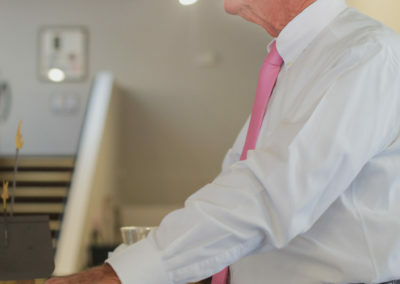 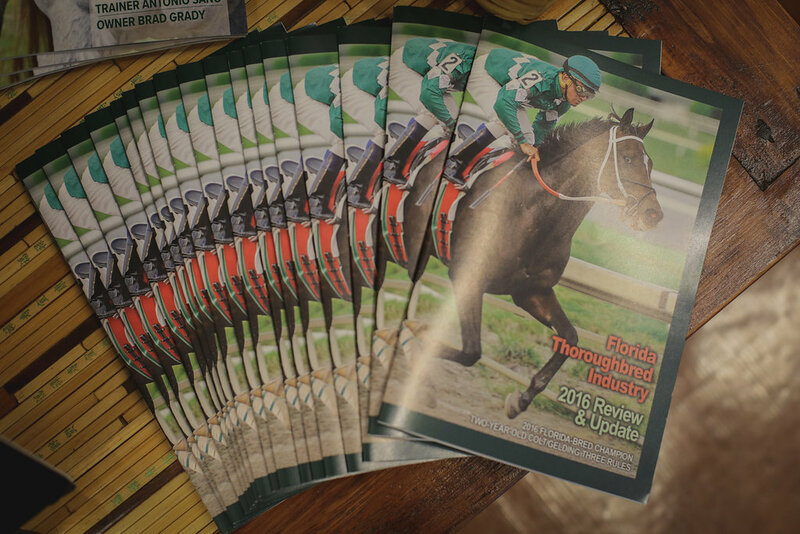 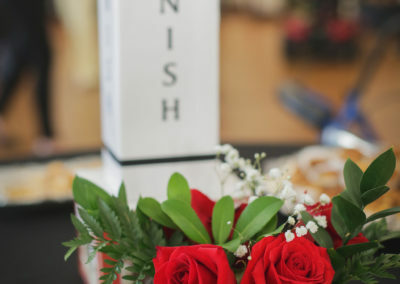 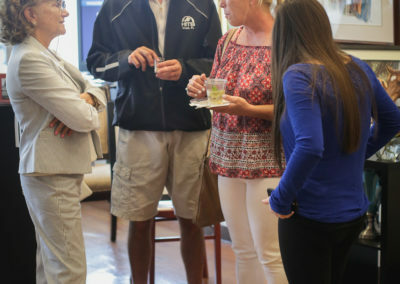 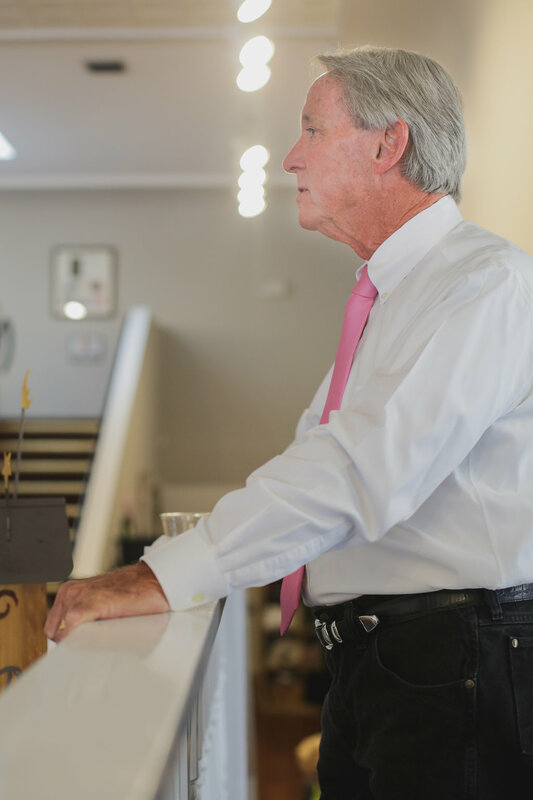 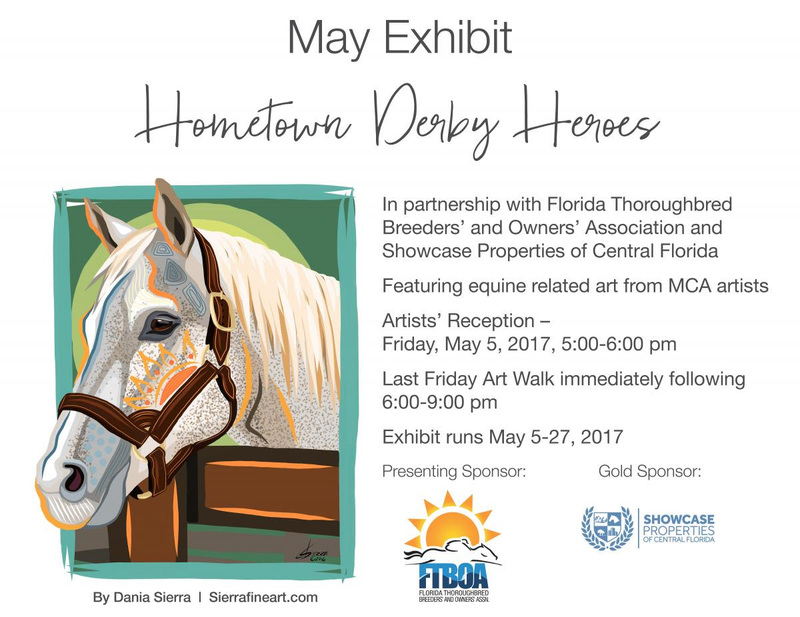 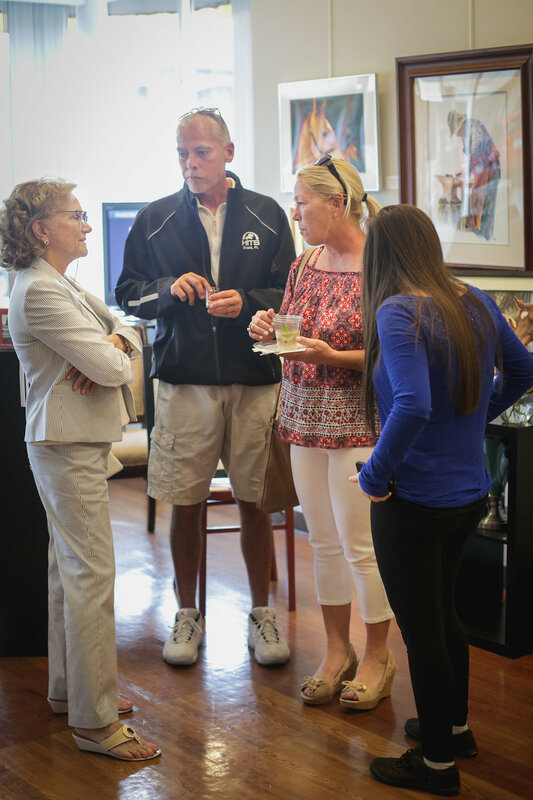 The month long exhibit is presented by Florida Thoroughbred Breeders’ and Owners’ Association and Gold Sponsor Showcase Realty of Central Florida.